Sit for 5 minutes then serve and enjoy! 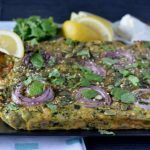 The great thing about these zucchini haloumi fritters is that they are super versatile (and delicious!). 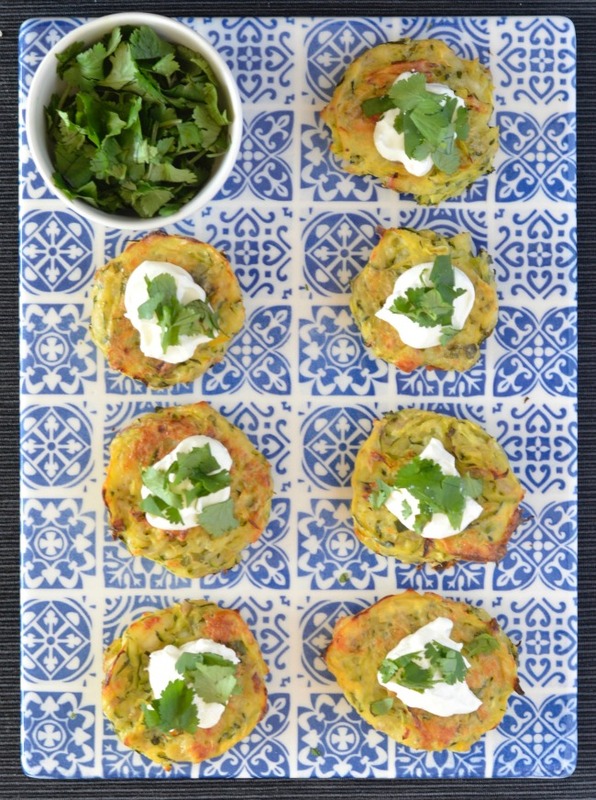 You can serve them as an entree or finger food by topping them with a teaspoon of greek yoghurt and some fresh coriander, pop a few in a wrap with some spinach, tomato and plenty of herbs for lunch, or serve them with a huge pile of salad for a light, tasty dinner. Depending on how large you make them you should get around 15 from the mixture, but you can easily double the mix to make larger fritters, or lots of small ones to serve at a party. 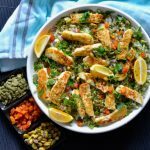 They take no time at all to prepare, making them perfect for a quick weekend lunch or an easy mid-week dinner. Seriously, there’s no reason not to make them! 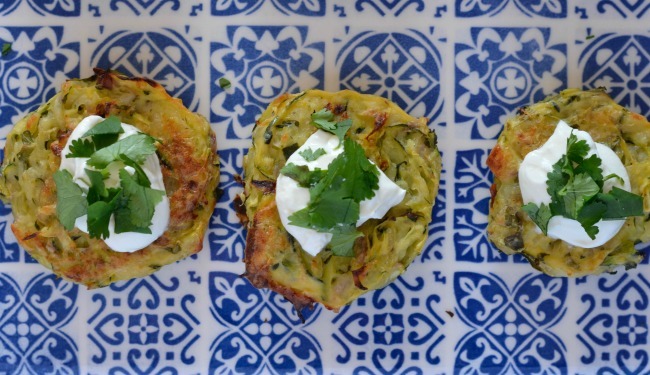 So, who wants some zucchini haloumi fritters! Yum! These would make nice vegetarian burgers, I bet! 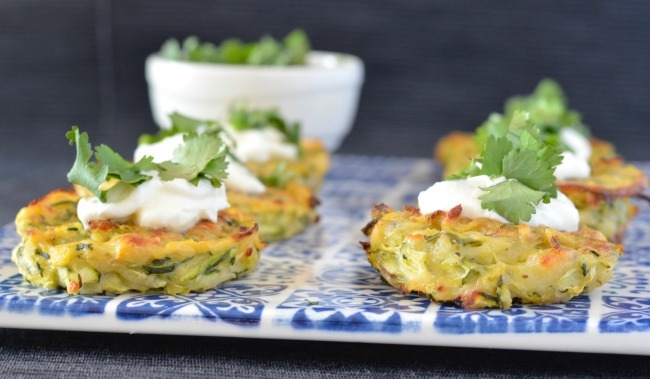 Yum – I love a good fritter recipe for breakfast, lunch or dinner. I think that zucchini and haloumi sounds like an awesome flavour combo! They are just so versatile! 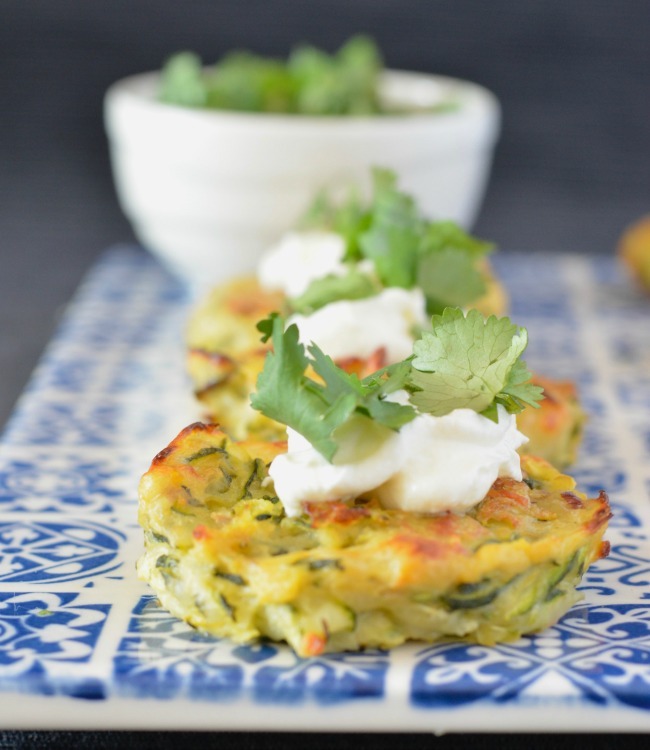 This is such an easy and delicious idea Liz; perfect for after school hunger pangs. 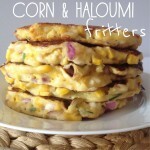 I’ve never thought about using Haloumi in fritters before, how clever! These sound so amazing and a lovely light eat. I love haloumi in pretty much all forms, but this is one of my favourites!